It’s life as usual, then the tears start. Or the energy is completely sapped away. 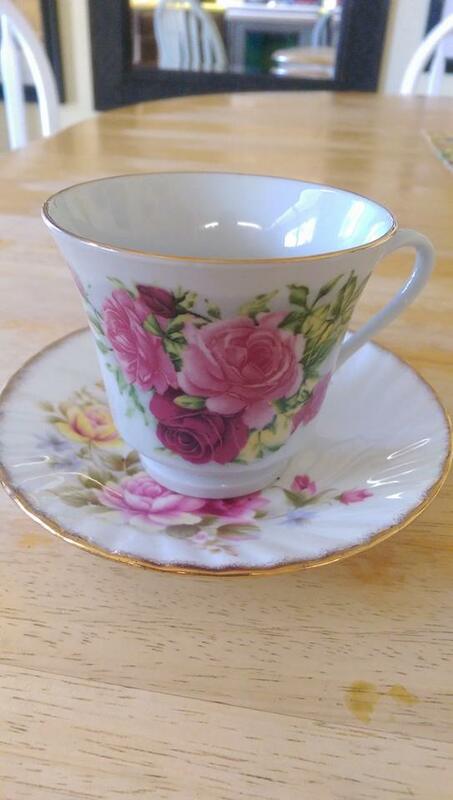 My precious sister-in-law shared a teacup with me that she’d given her mom. I’ve taken to having a few quiet moments each day drinking tea (or sometimes coffee. Yes, I know that is sacrilege!) from the pretty cup. Ray and Fencine’s wedding picture now hangs on our wall. 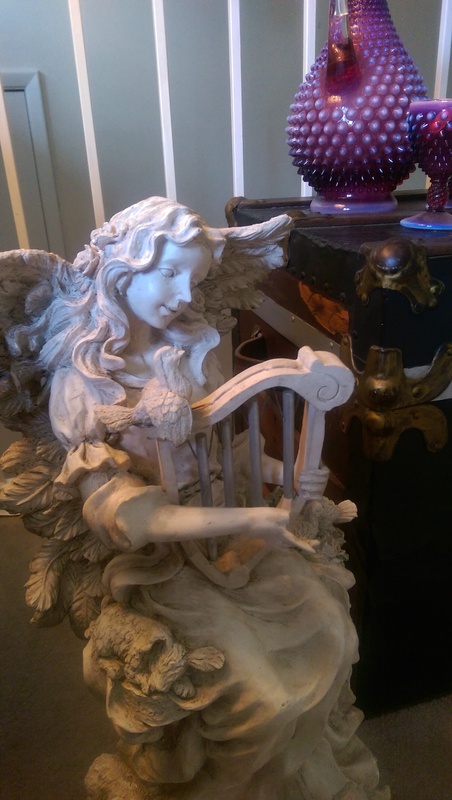 Other little treasures grace our home, next to reminders of Bernice. I didn’t know it, but this method of home decor is actually recommended by hospice as a healing way to process grief. Nobody told me this until later; it just happened naturally. Grief makes me clean. Reorganize. Decorate. When my two oldest sons both left for college on the same day a few weeks ago I spent the weekend cleaning. Bringing their spaces to order. Dusting off the shelves that held their treasures–a baseball or hockey puck. A picture. A hunting knife. I’m not sure what the next few weeks will hold for this blog. August began with a trip to Missouri where we saw Jerry’s mom for the last time. While we were there God whispered to our hearts that we would not see her again this side of eternity. Then we came home to letting go again, another step into empty nest. Lots of work went into launching those boys. Grief, too. I just couldn’t write where it would be read. Not yet. But in the midst of all of that I had some amazing adventures with a best friend from college. Some deep musing about launching children. Hours of journaling and seeking God for insight. Brief moments that seem so powerful they have to be shared. I know me. This will all need to come out in my public writing. I don’t know when it will happen, but I’ve no doubt you’ll see bits of it as it does. Until then I’ll keep drinking tea. I’ll work hard when I have the energy, and when I don’t I’ll stop again. I’ll try to avoid grief by chocolate. At least in quantity. Instead I’ll drink more tea. Call a friend. Read. Journal. Walk. Let the little things once belonging to my loved ones speak comfort. Thank you. All you said is true. I’m sorry for your loss as well. Our house is slowly filling with my father in laws possessions. In fact, his ashes are sitting in our gym right now. We hope to be able to drop them from a plane as he wished (one of his many hobbies was flying) but, until then, we say hello and goodbye every time we come home or leave. These are strange and difficult times. It feels as if nothing will ever be normal again. I’m so sorry, Marie. You are in my heart, on my mind, and my spirit reaches out to God on your behalf. Grief is so hard. One thing that I learned that helped me when Jerry’s dad died is understanding the cycles. There seemed to be a surge of grief weekly, on the day of his passing. Then it become monthly. Then yearly. Not that there wasn’t grief other times, but knowing when the intensity/energy loss would hit helped us understand what we were walking through and plan our schedule if possible to accommodate the harder days. Hugs across the pond to a very beautiful and precious woman.